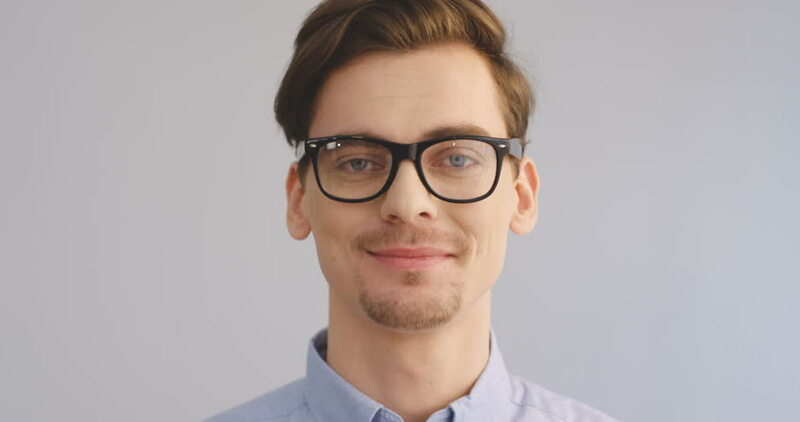 4k00:24Close-up portrait of a young man wearing glasses sitting in his office in front of a monitor - having a video chat. People stock footage slider shot. 4k00:16The cute young man telling a story to the camera.